So I finally decided to download Pinterest to my phone, just to see if I would prefer "pinning" to "Twitpic-ing" (which is generally how I post images now). So off I head to the Google Play Store and wouldn't you know it, there are 362 results and none are an official Pinterest app. Now to be honest, I originally decided to blog about this to address the fact that Android currently has the biggest market share for mobile OS, with half the global mobile market and that Pinterest must be completely out of its mind near-sighted if it thinks that it can own marketshare for image-sharing without venturing into Android-land. 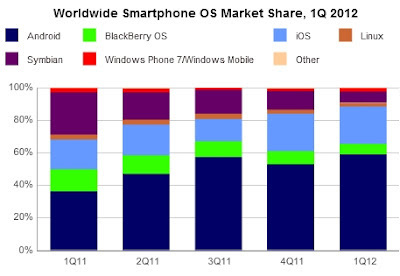 I mean, check out the graph below from GeoActive: Android completely owns the mobile market. It's a fact that can't be ignored. Yep, I was going to give them a blast and any other software developer out there who thinks they can ignore the power of the big green droid. Buuuuut, in my research, I discovered that the rumour-mill is speculating Pinterest to announce its Android app at Google I/O. Which gave me hope. Except for this pesky this PC Mag article, in which Pinterest is claiming that they have no plans at all to launch an app at I/O. So who knows? Apparently there is an app in production but no timelines or sense as to when it might be released. Apparently Pinterest is aware of the not-so-great imitators on the Play store. And apparently they are working on it. I fully intended this to be an earful about ignoring a huge client base and the silliness of pursuing i-exclusivity... but in light of the rumours, I am going to hold my tongue (sort of). 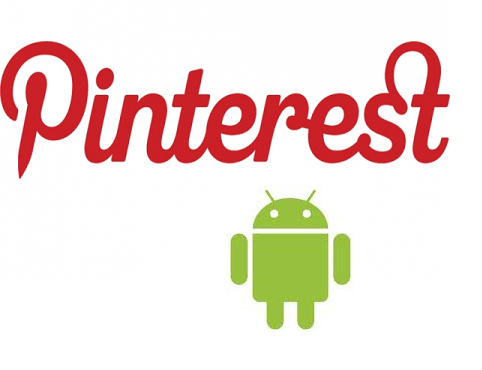 Google I/O starts runs from June 27-29, so we'll know soon enough if Pinterest gets their Droid game on any time soon.